When it comes to structuring your website’s information architecture, there is a vast amount of information on the internet, but it is not always easy to discern which information is worth your time. Unfortunately, there aren’t many online sources that thoroughly teach the ins and outs of web design. Luckily there are some excellent information architecture books that are well worth your time and money. Web design is much more complex than code. In today’s competitive online market, it is essential to design with the user in mind and to do that, you must understand how and why things are designed the way they are. 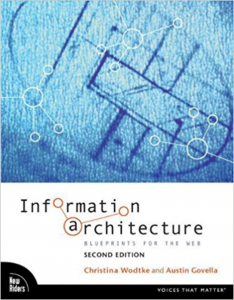 The following books on information architecture explain everything you need to know to create or improve upon an existing web page as well as construct top notch visual displays. Anyone who is or would like to be a website designer should read this book. It explains the concept of intelligent design as well as how to incorporate information architecture into the process. Specifically, this book is geared toward those interested in building or designing a website for business purposes and is streamlined to create the best website for obtaining and optimizing sales. The especially useful part of this book is the fact that it is not all about theory, unlike many books of its kind. Instead, it highlights the actual practical uses of the techniques it teaches. This makes it an excellent, hands on guide for anyone. It includes step by step how-to guides, templates that can be used right away as they are, and other general tips such as what not to do. The book also utilizes visuals in order to illustrate its points and help visual learners understand exactly what is meant. Specific case studies of real industry leaders are used to show and prove the fact that the theories taught in this book are tried, tested, and true. Other types of research are included and displayed in this book, helping the reader gain a full and complete understanding. If you purchase this book, you will also gain access to the website, where you’ll receive the same templates as shown in the book. The website also includes an additional chapter as well as templates that aren’t found within the pages of this book. In short, if you are a business owner looking to design a website, this is the book for you. In this Age of the Internet — nay, the New Age of the Internet — there is an information overload that could easily overwhelm users. For that reason, it is more important than ever to perfectly plan and design a website that is easy to navigate, clear, and intuitive. This is even more important for large scale websites. According to this book, the primary way to design an effective large-scale web site is to make it in such a way that it immediately helps people find what they are looking for. If it takes too long or requires too much effort, users may simply find somewhere else to find that information. This 4th edition is up to date with the ever-increasing amount of information and content on the World Wide Web. It considers the latest emerging technologies but still retains its focus on the core fundamentals, which have not changed. This is an excellent text for web developers, designers, and information architects. It will help creatives of the online world develop a usable, easy, clear interface that website visitors just intuitively get. It starts with the planning process and then guides readers into implementing these plans into an actual large-scale site that users will understand and love. In addition, Information Architecture for the Web and Beyond includes several short writings from those who are working in the field and have some useful pieces of advice from their own personal experience. This can be invaluable, as it helps prevent new developers from needing to reinvent the wheel. Because of the variety of information found within it, it is definitely a book that is useful to both new developers and veteran professionals alike. 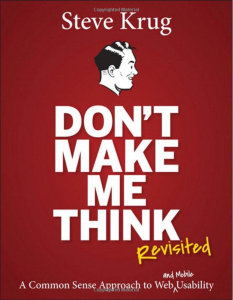 Don’t Make Me Think follows its own advice as it explains to its readers how to design a website that is intuitive and user-friendly. It’s easy to get caught up in website design, forgetting the logic and common sense behind a quality user experience. This book helps designers stay on task, gently reminding them how to develop a website that not only has everything it needs but also is conceived in a way that is easy to navigate. With all this useful information, you may expect a whopping thousand-page tome. Instead, however, Don’t Make Me Think is a reasonably sized, easy-to-read book that includes visuals and information that gets right to the point. In other words, the book itself has common sense and high usability (much like the websites you hope to design). This book is not only useful, but it is also essential to anyone who hopes to design an excellent website. And these days competition is rife, so internet sites need to be top notch. Those who have used it are recommending it as an absolute necessity for others. The author himself, Steve Krug, has personal experience from over two decades of user advocate work. In this book, Krug explains the how and the why. This is valuable because you gain a more complete understanding of the logic behind designing intuitive, common sense-based websites. It also means you can start with this book, and by the time you are done with it, you will have gained the necessary tools to successfully design things as you see fit. 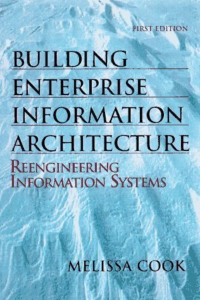 Written by information architecture expert Melissa Cook, Building Enterprise Information Architectures shows the reader how to take care of information and processes by using good old-fashioned business management. Old fashioned logic combined with new age technology makes for some highly successful information architecture. The beauty of this book is its versatility. It is not just for information architects. Building Enterprise Information Architectures works for a variety of people in different professions, so it is useful and versatile for just about anyone. Executive managers love it, but technical professionals also find plenty to learn between the covers. As technology evolves and changes faster than we can blink (or so it often seems), it sometimes feels as though information and processes are in charge of us rather than the other way around. This book helps the reader take back the reigns and get back in charge. Business management experts can start applying their knowledge to information architecture, helping to illustrate the expertise they already had but that was perhaps buried beneath all the new technology and web content. This book takes a particular interest in simplicity, making it accessible and practical. It will help the reader reduce not only clutter and confusion but also the actual costs of building excellent information architecture. The reader will create information architecture that is also more flexible and directly useful to your business. This book provides the necessary tools to make the information architecture start working for you (rather than the other way around). Cook’s approach is without frills and fluff, getting straight to the point to help you solve your business needs. Information is everywhere in the world around us. Whether we’re driving our car (listening to the radio, seeing billboards), watching TV (seeing commercials), or reading something online (pop-ups and advertisements), we simply cannot escape the overload of information that is constantly surrounding us. 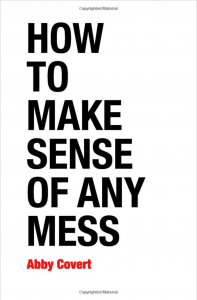 In Abby Covert’s book, How To Make Sense Of Any Mess, she embraces this fact and explains how we can understand and use this information to work for us. Of course, many of us already know that the route to that goal is learning how to become an information architect. We also already know what it is like to receive information, but do we all have a decent grasp of how to effectively send information? Unfortunately not. That is where this book comes in. Covert looks at the way in which we send a message (or information) to people. The title of the book is descriptive. The internet has become extremely messy, and that makes it harder for people to send or receive specific information or messages. So how do you work your way through it? How do you make sense of the mess? The book breaks down the process of information architecture and sifting through messes into a seven step process. The book is also interactive, what with lessons and exercises from a workbook. Even learning about information architecture is messy, but Covert makes sense of that mess too and brings it to us in an understandable, accessible, non-intimidating way. There are many designers out there that are quite talented at information architecture but do not have a complete (if any) understanding of why things work the way they do, or how everything fits together in the bigger sense. Pervasive Information Architecture addresses those points. It is easy for someone to gain a lot of information without putting it all together. 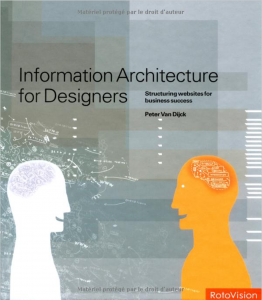 This book looks at the interconnectedness of the different aspects of information architecture. It then clearly shows the reader how it all works together as well as explain why understanding that relationship is so important. Pervasive Information Architecture also has a practical application, of course. It will equip readers to be able to form information in a way that fits a user or consumer’s desires, needs, and personal preferences, while also making it more clear and easy to sift through. An overload of information and choices lead to the inevitable feeling of frustration. Being able to help the user avoid this negative emotion will help any information architect find greater success. Nowadays, it has become complicated to do simple things such as picking out the best goods and services or even finding valuable and reliable information. It’s time to begin designing information architecture in a way that doesn’t confuse and frustrate, but rather assists and benefits. 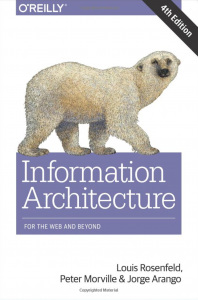 This book covers more than just information architecture, of course. It also helps the reader gain knowledge and practice of user experience design, interaction design, HCI, usability, web interaction and interface, and mobile application design and development. This is an especially useful book for those converting from physical architecture to information architecture. This book looks at a lesser-known aspect of the information architecture world: the art of communicating your choices to non-designers. Much like a writer may have to explain him or herself for choosing a particular word or phrase, an information architect or designer often has to explain him or herself to users or to people who do not have direct design experience. The trick with communicating design decisions is the fact that it needs to be done tactfully if it is going to be effective at all. Articulation of reasons for designs is a skill all in its own that can make the difference between a successful and effective information architect and simply a decent designer. This is due in no small part to the fact that an information architect or designer is going to have to “sell” his or her work. That means that he or she needs to convince someone – whether it is a client, a firm, or some other entity, that their design is the best design. This is difficult because the audience they are explaining to is generally a non-designer or a group of non-designers, so they will not innately know anything about the logic behind even the most basic of designs. For that reason, a good communicator is the one who is going to gain the most projects (assuming their designs are good as well). 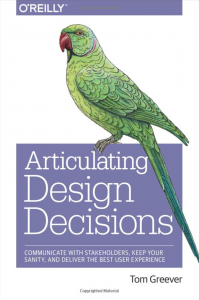 Articulating Design Decisions is a book that helps any designer or information architect learn how to effectively explain and tactfully communicate the reasons behind their design decisions. In other words, the book helps you get projects – with some user experience advice mixed in as well. Of all the discoveries and inventions that have come during this technology era, the search engine or search feature is by far one of the most influential. Search impacts much more than many realize. What comes up first in a search can ultimately formulate how we go about our daily lives – what brands we buy, where we purchase items, what types of businesses we want to support, and so on. It even tells us what information to follow and trust. A designer or information architect needs to be aware of the importance of search in our world today. The behavior of a consumer comes down to their knowledge and their beliefs – whether true or false, these values are going to shape their behavior and choices. 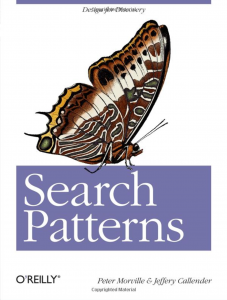 This is why Search Patterns is an exceptionally important book. You’ll find much more than an overview of search engines printed within this text. The information and advice found between the covers dives into design, information architecture, user psychology, user behavior, emerging technologies, and more. Everything you learn in this book is going to be relevant to deepening your understanding and skill at designing information architecture. What can you expect to gain from a book like this? Increased efficiency and, better yet, increased sales from your website or other design. It is important to note that mobile devices and applications are also covered in Search Patterns. 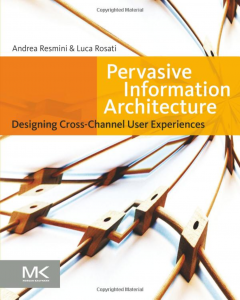 The book is written by Peter Morville (president of Semantic Studios, a consultancy for user experience, findability, and information architecture) and Jeff Callender (design director and vice president of Q LTD, a design consultancy for international, strategic design). Their expertise ensures you are in good hands. For anyone living in our world, context is everything. Context explains why things happen the way they do, or what things mean to us, or why we should do certain things. Context is crucial to every facet of life, including language in particular. This is because without context, words become meaningless. Everything in life comes with context. A skilled designer is able to create a particular context they want the user to experience. If designed well, their information architecture can completely mold the user experience so that the user comes out with very specific beliefs, emotions, and ideas. In order to accomplish this level of design proficiency, however, the designer or information architect first must have a proper and thorough understanding of how context works. 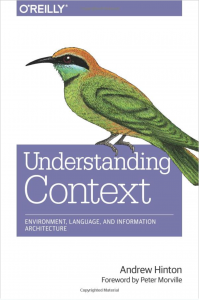 Understanding Context is a book that helps the information architect understand what exactly context is and how we can manipulate it accordingly. The trouble is, the dawn of modern technology has led to an overly complicated contextual environment, making it even harder to understand and control context than before. Luckily, you’re in good hands if you read Understanding Context. This book helps you gain a thorough understanding through a mixture of learning about a user’s psychology as well as how they experience context in a digital world. Context can be built with your language and your visual designs alike, and this book will help you navigate the complicated nuances to create the perfect context for your design’s user experience. By using models, examples, and explanations, Andrew Hinton explains everything you need to know to become a talented contextual designer. 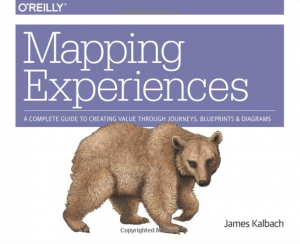 Mapping Experiences introduces readers to a tool that will help them understand user experience in a whole new way. Using diagrams to map out different areas of the user experience, an information architect or other designer will find great value in being able to get to the bottom of what really makes users tick – as well as what keeps them happy. Designers are better able to create designs and information architecture in a strategized, effective way once they are equipped with this mapping tool. The book doesn’t only apply to designers or information architects, either. It also is important for business owners, those in marketing, and managers who take care of products or brands. Regardless of the type product or brand your business is trying to sell – this book is basically guaranteed to provide you with some kind of useful insight that will lead to an increase in user happiness. Mapping Experiences is fairly straightforward formatting-wise, as it includes just three major parts. The first part explains the whole process of diagramming, and why (as well as how) diagrams lead to the formation of effective strategies. The second part shows you how exactly to make these diagrams, using four effective steps to get there. The third and final part displays diagrams such as these when they are being put to use. It often leads to user experience maps, ecosystem models, blueprints, and much more. Whatever your trade is, there is value to be found in this book. In a changing and sometimes dangerous world of technology, information security is vital. Many information architects jump into the world of information architecture before properly having a handle on what information security really is. The truth is, information security can benefit just about anyone – any person who uses any kind of operating system or internet, that is. 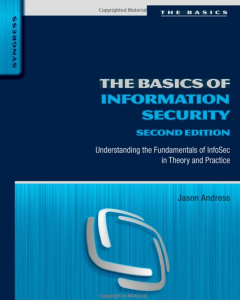 The Basics of Information Security is an excellent primer for getting a good idea of what information security is all about. It provides both a foundational knowledge of information security as well as the tools for applying this theory to practical uses. It reinforces the idea that information security should be utilized for any kind of operational, physical, network, application, and operating system security. Part of the excellence of this book is the fact that it gives you the basics without forcing you to sift through a huge, dense textbook. It is accessible and understandable to just about anyone. In not too many words or too deep of explanations, it gives the reader a complete understanding of the breadth of information security. In short, The Basics of Information Security is where you want to start if you require a little touch-up on the modern issues at hand, or if you need to start learning about information security. This particular version is the second edition, meaning it was updated specifically to keep up with the emerging technologies and the risks of the times. It’s time to prepare yourself for what is out there and incorporate it into your risk management, legal issues, incident response, and so forth. This Peter Morville book explains in broad and interesting terms how everything (and we mean everything) is connected. Since Morville himself is an information architect, he explains the interconnectedness of software, services, experiences, and ecosystems. In fact, he argues that even though information architects and designers think they are only making software or building a user experience, they are actually doing something much more complex and broad than that: they are changing the way ecosystems work. The reason this book is worth your time is explained by Morville himself: until we look around us rather than get tunnel visioned only on the task at hand, we are going to continue to repeat mistakes and not fully improve as much as we could otherwise. Understanding the ecosystem around us (whether it is a cultural ecosystem, a natural ecosystem, or a digital ecosystem) is a necessary step in learning how to affect the world and experience around us more greatly. Morville even mixes in some Buddhism, volleyball, and synesthesia. 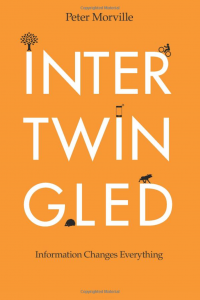 The term “intertwingled” comes from a 1974 quote from Ted Nelson, who said, “everything is deeply intertwingled.” This book is about exactly that. Before you dismiss it as spiritual, mushy gushy text, keep in mind who Peter Morville is. He is a pioneer in his field (and, presumably, in your field). He gives advice to huge companies on information architecture and user experience; these companies include IBM, Harvard, Cisco, AT&T, the Library of Congress, the National Cancer Institute, and more. He is well known throughout the world for his work and expertise. In short, this book is something you’re going to want to read. Although most of us search on a daily basis, how often does the average person think about the search function? Googling something takes very minimal effort, so extra thought about how it works or how the results come up the way they do is generally not spent time on. However, for information architects, search is a hugely important and significant element that needs to be understood as deeply as possible. The way to truly understand search is by gaining a deeper picture of the way people are searching. People are taking a journey when they are searching, and the designer needs to experience that journey with the user in order to help them along the path they want. There is a sort of art form to search – there is also a science and a scientific method of its own in search. Designing the Search Experience helps the designer or information architect gain this crucial understanding and apply it to their real life design and architecture projects. 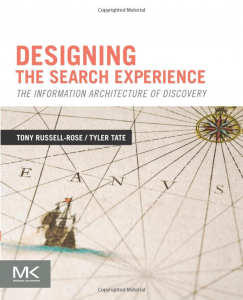 To properly and effectively design, the information architect needs to know that there are a wide variety of different kinds of searches: information foraging, information seeking, sense-making, and more. And, of course, search is not just Google. The search function is built into any good website’s design, meaning a complete understanding of the user experience is necessary to build things properly and avoiding user frustration. This book gives the reader information about designing and searching on desktops, mobile devices, and other devices besides. At the dawn of the World Wide Web, people tried to get ahead of the game and make websites as soon as possible. As a result, many websites emerged, causing the internet boom we now know today. Of course, we all remember the websites of the ‘90s: they were simple, they were messy, but they did the job. Nowadays, however, the internet is an entirely different place. Websites are sleek and highly functional – they are being specially designed for an intuitive user experience. Those are the new websites, at least. Unfortunately, some of those internet pioneers now have an outdated design. This is not uncommon, and people are starting to realize it’s time for an update. For that reason, now is the perfect time to join in and rebuild your own website — but to do it well, you’ll want to utilize some of the new technology and options at your fingertips. If you spend the proper amount of time planning out a revamping of your website, you could have one that will stay relevant for a much longer time. This book gives readers a helpful, organized guide for the priorities when it comes to building or rebuilding a website. Site interaction, content organization and findability, and understandable interface are all covered in this book — and be warned that they are all essential concepts. If you use this book to create your next website (or recreate your old website), then you are basically guaranteed to find usability success. The explanations are not too dry or technical, making it a highly accessible guide to use. It can be read straight through or used as a reference. Either way, you’ll benefit from this book. Wow！Nice post! These books are very useful to me! Thanks!